Counter top makeover with Beyond Paint. – Anchored Way Trading Company. Living in a 1920’s farmhouse requires more than just having a country soul, it means so much more than that. It requires a heart that is able to see potential, possibility and one that will pour love into every single part of the farmhouse, including the ugly not so glorious parts. 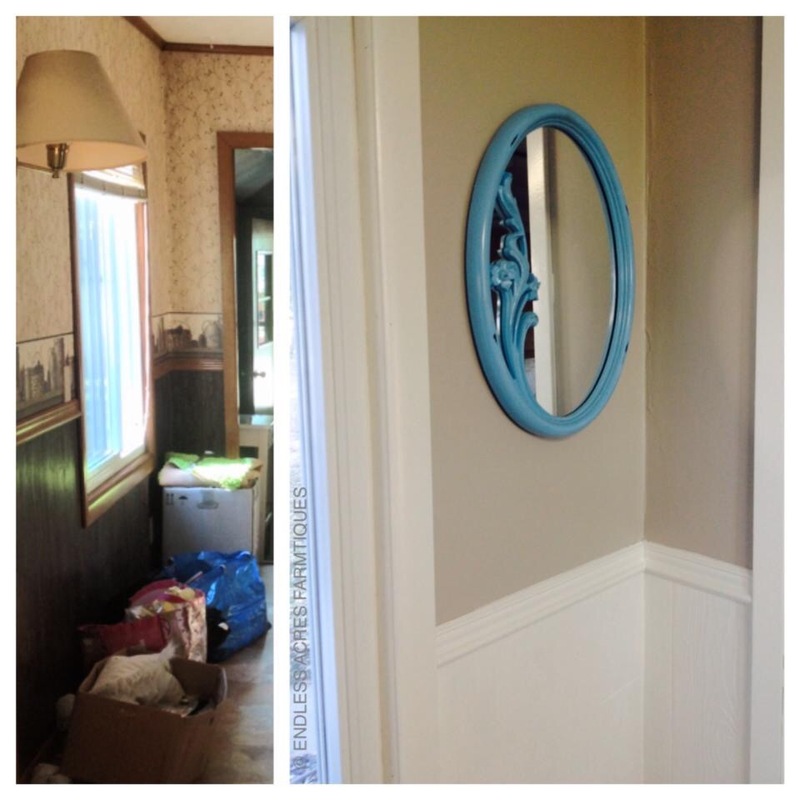 Now, fixing up a 1920’s farmhouse, on a budget, requires a different set of eyes. Eyes that are able to look at things a bit offbeat than the crowd does and possibly, a little more creatively with a frugal mind. I may not have that immaculate dream farmhouse you see grace the cover of a diy magazine, but I have a home, that is filled with love and that we pour our heart and souls into. We purchased our home 3 years ago and ever since have been working on small, frugal makeover projects. We were blessed with a home, that (in our eyes) didn’t need a full gut job in any room. Remember, the simplest, cheapest thing you can do to update your home or space,is to just add fresh paint! That’s a subject for another blog post though, hopefully coming soon! The last week I have been plugging away on redoing our kitchen counter tops with a paint kit from Beyond Paint. Typically, one could get this done in a day, but between energy lows from Lyme Disease, dentist emergencies, and coaching my kids in online school, it took me 4 days. Also, being the spontaneous artist that I am, I don’t ‘plan’ my projects on free days, I start when I feel motivated and ready to go, even if that is in the midst of craziness, it’s just how I’m wired, and it works(for me). Here is what our counter tops and our kitchen looked like, when we moved in, aka before I got my hands on this space. Two years ago, I ripped off the wall paper, painted the walls, and the cabinets and it made an amazing difference and really brightened up the space! Beyond Paint’s counter top makeover kit comes with everything you need to transform your old, outdated counter tops, without making your family go without groceries for 6 months. Granted, this isn’t everyone’s cup of tea, and that is fine by me, but it follows along the lines of one of my favorite sayings, ‘do what you can, with what you have, where you are.’ Our budget doesn’t allow for brand new counter tops, because we all know, if you get new counter tops, you will need new cabinets, and if you get new cabinets, you might as well install that dream farmhouse sink you’ve always wanted, and if you are going through all of this trouble to replace all of that, you might as well open up the wall between the kitchen and the dining room, while you’re at it. DIY projects and home renovation projects kind of remind me of the children’s book, ‘If you give a mouse a cookie.’ I joke with my kids that one day I will publish one that relates to home projects. Stay tuned on that one. These are what our counter tops looked like before. They had endured many many years of hard use before we moved in. I was happy to extend their life for a little while longer with Beyond Paint. Horrible right? I wasn’t sure that paint could fix something this far gone. It would be a miracle if those deep scratches and stains were covered up. After washing my counter tops, the transformation began! I simply, rolled on the base color (Bone) and gave it a good three coats. The paint went on extremely easily and had a nice thick texture. I was surprised how much much area was covered from just a little bit of paint. If you do two thorough coats, that is more than enough, I threw on an extra coat, just because I had enough to do so and it never hurts to have an added layer of protection. The above photo was after the first two coats of ‘Bone’. I liked the clean look of it so much, that I was tempted to leave it a solid color. Beyond Paint offers a variety of color combos that you can do, which makes it fun and able to fit your style. After applying the first tone of paint with a roller, I sprinkled on the ‘flakes’, first throwing them onto the vertical back areas of the counters, and then the flat surfaces. I over shook them onto the counters, which I recommend, because after wiping off with tack cloth and sanding down lightly with fine grit sand paper, many will fall off and not stay on. By over applying, it leaves more than enough behind for a nice look! After applying the flakes, and lightly sanding them down with fine grit sandpaper, I wiped the counters down extremely well with tack cloth. Tack cloth is a sticky cloth that will pick up any of the loose flakes, dust, dog hair, dirt, and debris from sanding. I then used a sea sponge to blob on Ash grey paint. I bought a few different sizes of sea sponges, and flipped them from the bottom to the side every now and then, so every smudge of paint didn’t have the same repetitive shape. After the grey had dried, I wanted to soften it up just a tad, so I took a new sea sponge, and dipped it back into the Bone color paint and lightly dabbed over each dark grey spot and it gave it just the look I had wanted! Next it was time to make that ugly crack in the corner of our counters disappear. I bought white paintable caulk and filled it in as thick as I could. It may not hold forever, but for now it looks better. After letting the counters cure over night, I rolled on 3 clear coats of clear sealer that was included in the paint kit. Here are the counters a few days after the had dried! We love the look and are happy that we were able to extend their life a little while longer! What is a makeover without a little touch of Joanna Gaines? I tore out the Magnolia Manifesto on the last page of their Spring journal and tucked it into a frame, made by ‘Once Abarn a Time’ . It looks beautiful and I absolutely love the words. Interested in giving your sad counter tops a refreshed look like I did? Head on over to check out Beyond Paint and see what they can do for you and your home! I am very please with the paint kit from Beyond Paint, and I would highly recommend it to anyone looking to rescue their old counter tops! As always, you can follow along with more of my DIY projects and antiquing adventures over on Facebook. Next postMilk-house curb appeal project. Just heard about Beyond Paint on a talk radio show this morning. I have never liked the color of my kitchen counter tops. I went to the website and was ultimately led to your page. I am greatly interested and inspired! Your counters look incredible!